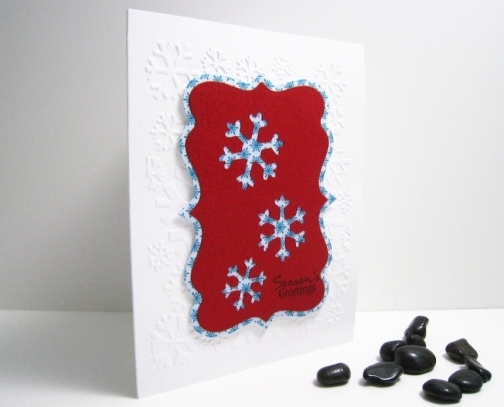 These six snowflake Christmas cards feature cool blue snowflakes on a warm red background. 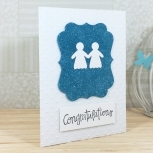 The base card is embossed with snowflakes for added texture. 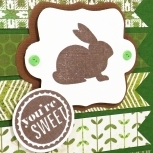 The snowflake focal die cut is raised from the card to help it stand out. The snowflakes are made from a blue pattenred paper against the solid red mat. 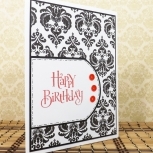 The sentiment "Season's Greetings" appears on the front of these cards.